Press / News Fastest Pass in NMCA History! Fastest Pass in NMCA History! 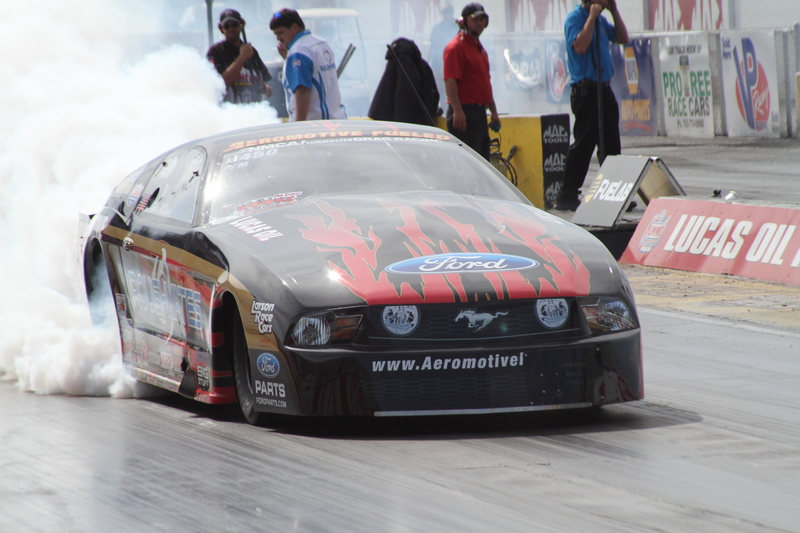 Aeromotive’s President, Steve Matusek broke the NMCA mile per hour record in his Larson built Pro Mod chassis by more than 16 mph this past weekend at the NMCA World Street Finals in Indianapolis, IN. 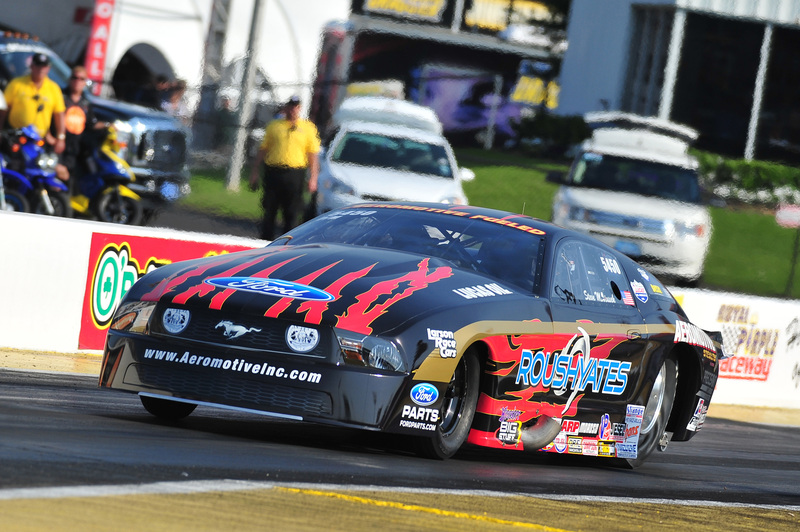 The twin turbo, Roush Yates Ford powered Mustang laid down a 6.11 @ 250.41, the fastest pass ever in the NMCA and the 1st over 250 mph. Equally impressive, Matusek recorded consistency with 3 consecutive runs of 6.11 @ 250.41, 6.07 @ 248 and 6.08 @ 249.